It is all about attention and intention. In the higher dimensions your attention sets your intention, and they are as loud as your voice is in the third dimension. In fact, they are louder because they create powerful thoughtforms that feel like the wind against your face, rain on your head, the smell of something remembered, the sun on your forehead or the cold foreboding of an ensuing storm. When you place your attention on anything, you automatically align with it, as there is no separation, as you know it on the third or even fourth dimension. Therefore, placing your attention on anything sets your intention, your choice, to bond with and experience that which you call reality. We say “reality” as there are no borders around persons, places, or things. However, there is an aura to everything in the fifth dimension and beyond. The fifth dimension is likely the first dimension you will return to, to enjoy the life you simultaneously have there. Allow us to explain the above statement. You, the members of our “Away Team” bi-located into your current Earth vessel. 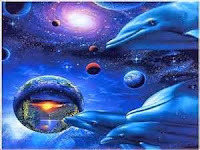 Therefore, you have an ongoing reality in whatever fifth dimensional reality in which you chose to take a form on Gaia to assist with planetary Ascension. 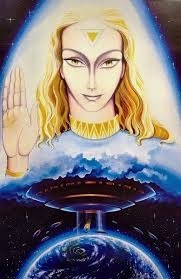 If you return to the location of your fifth dimensional reality in which you volunteered to bi-locate into an Earth vessel, which is likely one of Starships or Motherships, you may at first be distracted by your natural ability to perceive everyone’s aura. Most of the Beings on the Ships are fifth dimensional or above, so they carry a bright golden aura. 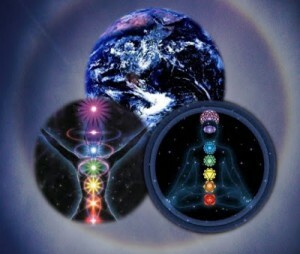 Eventually, it will become natural to see the auras, which are also a form of communication. In other words, you can communicate via the Light Language of communing aura to aura, and/or you can use a voice. Because there are many visitors who come from Earth, the members of the Ship practice using their voices on a regular basis. Often they will also send Light Language as a means to teach that language to the visitors. You are NOW entering that in-between. 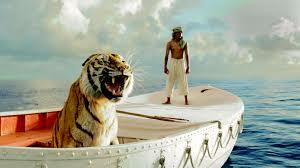 This in-between is much like the desert in-between the mountain ranges, the vast waters in-between the ports. While in the In-Between, you must LET GO of trying to control where you are going. However, you are not going any where, or even any when, because you are leaving the known world of time to journey into the unknown world of the NOW. Hence you are not taking a physical, emotional or mental journey. This journey is indescribable to your 3D brain. It is a journey of transitioning your consciousness. This transition of consciousness cannot be described via any third dimensional language. It can only be described via the imagery of Light Language. Therefore, we use the visual of a child going across “monkey bars.” Monkey bars are much like a ladder that is held horizontally above the ground between two vertical ladders. The child must climb the vertical ladder to the top rung then reach out to grab the horizontal ladder with one hand while they also hold on to the vertical ladder. Then, they must “let go” of the vertical ladder and swing that arm forward to grab the next rung of the horizontal ladder. At this point, they are hanging from the vertical ladder like a monkey hanging from a tree. Thus, the name “monkey bars” is used. 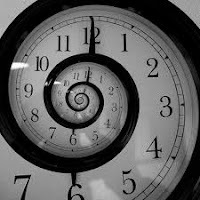 However, with your journey in-between third dimensional time and space and into the NOW of the fifth dimension and beyond, there is NO sequence of physical rungs to hold on to as you make your crossing. You are leaving that which is familiar to your 3D thinking and moving (while you are remaining still) into realities that are ruled by operating systems that you never experienced while wearing a physical form. Also, you will make this timeless journey to the HERE of the NOW, without any maps. There is no GPS to guide you, no one (except for your Multidimensional SELF) who has gone before to “chart the territory.” YOU are flowing into the unknown with only Unconditional Love for your compass. This journey, which you are NOW taking, does not have a known destination because you are not traveling into a different place. Instead, you are migrating into a higher dimension of reality. 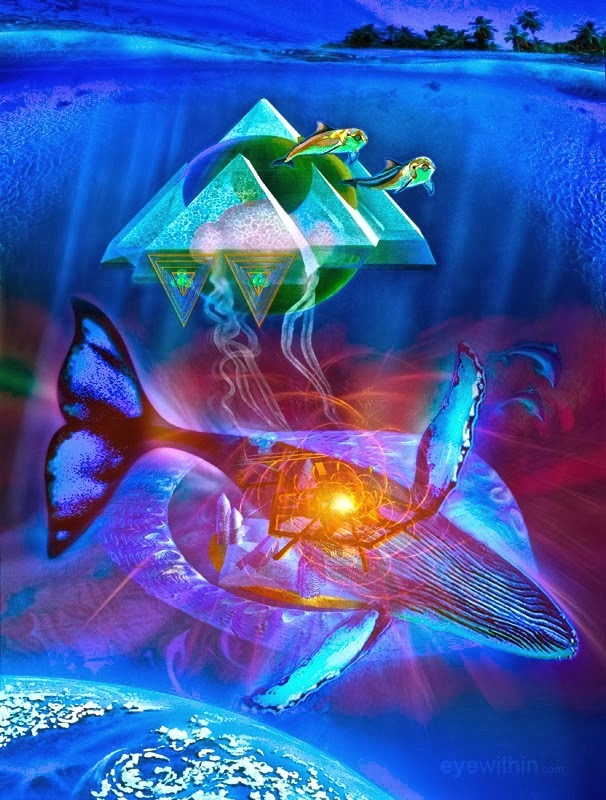 Much like birds travel the vast sky and whales travel the vast ocean, you will travel the multiple dimensions. However, your parents or the flock of birds or pod of whales are not with you to teach you how to navigate your journey. Also, whales use sonar echolocation, whereas birds have tiny bits of a magnetic mineral called magnetite to enable them to use the Earth’s magnetic field as a migration guide. But your journey is beyond third dimensional sounds or magnetic fields. In fact, it is even beyond the Earth vessel that you are wearing. Your Earth vessel is much like the booster rockets used to send spacecraft past the resistance of Earth’s atmosphere. Just as a booster rocket falls away once the spacecraft is past that resistance, your third dimensional Earth vessel will fall away, and your fifth dimensional Lightbody will continue your journey. However, your Earth vessel will not be damaged when you burst into Lightbody. Your Earth vessel will be stored within your Lightbody, just as your Lightbody is stored within your physical body. 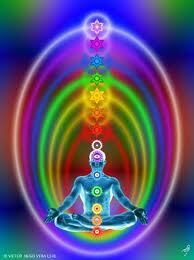 Your Lightbody is stored within the Kundalini force, which is stored within your spinal column. In the same manner, your physical body will be stored within the core of your Lightbody. Please remember that you are innately a Multidimensional Being who has a body, which is much like an envelope of consciousness, which is always a component of your Multidimensional SELF, whether or not you are aware of that fact. Unfortunately, humanity has been taught to look outwards for the information that they need. Therefore, they do not know that all questions and quests can be fulfilled within the energy package of their own physical Earth vessel. The journey of which we are speaking is a journey that occurs withIN your Earth vessel, withIN your consciousness. It is your state of consciousness that runs the GPS of where you are going. However, when you are going beyond the illusion of time, you must release all attachment to the “booster rocket” of your third/fourth dimensional SELF and allow your fifth dimensional Lightbody to take the helm. How does it FEEL to allow your Lightbody to guide you through the narrows of the In-Between? The “narrows” represent the feeling that your body has when you need to squeeze between two places. Your body is likely experiencing some of that feeling now because the polarities of 3D reality are beginning to connect. Within the core of that connection is the “In-Between” of which we speak. 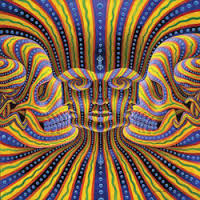 The In-Between is getting more and more narrow, as all reality is beginning to resonate to the NOW. Within your NOW, your consciousness is beginning to expand beyond the limitations and illusions of the third dimension. Hence, you perceive your 3D reality from a higher perspective. Thus, the dramas, duties, chores, and work of your physical world seem burdensome and boring. Simultaneously, you are feeling an urge to be creative, to find new information, to research what is happening to you and to bask in a new feeling that you never had before. However, much like you could not stay in water that is too “hot” for too long, you cannot stay in these higher frequencies for too long. It is not that you don’t want to stay in that frequency. It is more that you “can’t” stay in that frequency. Your 3D life needs you. You have responsibilities, duties, and chores. You also have many things that you love about your 3D life such as people, places, creativity, and contributions to a changing world. Well, here is the good news. You do NOT have to give up your 3D life. Remember, you are not leaving your entire physical world. You are only leaving the TIME of your physical world to experience the NOW of the fifth dimension and beyond. Hence, your consciousness can expand into the fifth dimensional resonance, have a wonderful experience, then return to the 3D just a second before or after it left. Of course, your 3D brain cannot register this information as it is only calibrated to attend to and accept information about the physical world. 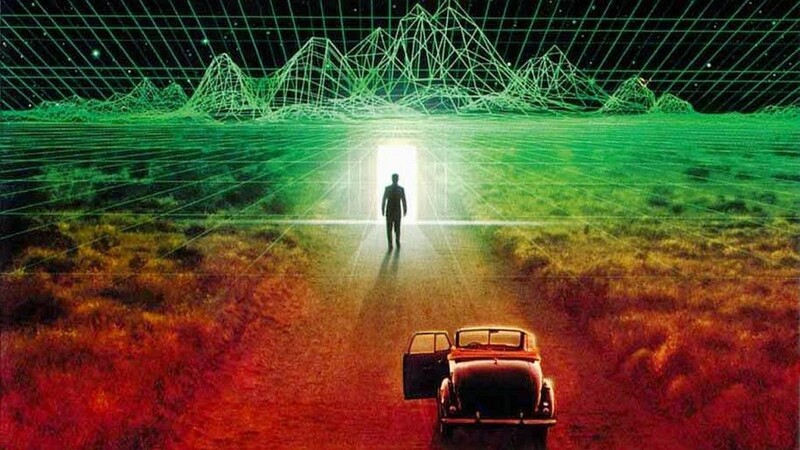 However, as you expand your consciousness into the fifth dimension and beyond, you begin to function via the “external hard-drive” of your Multidimensional Mind. Therefore, your Multidimensional journeys into the NOW are available for you to re-visit whenever you expand your consciousness into the fifth dimension, so that you can read that hard-drive. “The NOW” means the fifth dimension and beyond. Those who fully resonate to the third dimension, or even the lower fourth dimension, cannot perceive the changes within their Self or within their reality, because those changes are occurring at the frequency of the fifth dimension. Actually, the changes are that YOU are merging with the fifth dimension and beyond. But YOU must believe in order to perceive. Your third dimensional brain has a filter on it, which only allows you to perceive what you believe. This “glitch” in your 3D brain was placed there long ago during the dark times of Atlantis. However, you can easily expand your consciousness beyond that implanted belief with assistance from your Multidimensional SELF. It is the NOW to take the helm of your own life. The journey into the NOW of which we speak is the means by which you will be the Master of your own life. While you are assisting other persons, we ask that you also assist your dear planet, Gaia. She, too, tires of the low frequencies and the incessant dramas of the humans attached to Her 3D Matrix. Just as you are ready to return to your Multidimensional Human, Gaia is ready to return to Her Multidimensional Planet. Some cannot, yet, believe that reality can transmute into a higher frequency. Therefore, they cannot perceive it. On the other hand, those who can believe they are innately Multidimensional are transmuting along with Gaia and are ever changing. How do you discern the FEEL of your Multidimensional SELF in your daily life? Take a moment to recognize any changes you have experienced as your physical Self is connecting with your Multidimensional SELF. Your physical body will be your guide on this journey because it represents the Unity of your SELF. Your physical body must incorporate all your thoughts, emotions, and states of consciousness, activities, thought-forms, and reactions into ONE representation of your current expression of SELF. Your physical body is shifting because your consciousness is expanding. Your Multidimensional consciousness serves as a Multidimensional matrix for the energy package of your physical form. 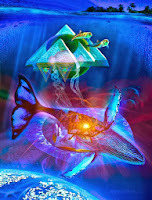 This Multidimensional matrix is holding a cohesive form/energy package so that you can live in your Earth vessel (stay alive to the 3D) while you are making this huge transition. Also, your body is comprised of the same elements and elementals of earth, air, fire, and water, as are the planet on which your body NOW resides. Thus, any changes that you make on an elemental level will be shared with Gaia. In the same manner, all of Gaia’s elemental changes are shared with you via your physical body. Are you NOW beginning to understand the immensity of this process of personal and planetary transmutation? We will assist to understand more about your human Self, as well as Gaia’s planetary Self of Earth. Just as you have seven energetic fields known as chakras, so does Gaia. Both Gaia, her humans, and all her in habitants are shifting frequencies of resonance. This human and planetary shift/transmutation begins within the chakra system. Chakras are vortexes, which influence and/or govern your senses, body elements, states of consciousness, social and developmental changes, endocrine glands, nerve plexus, connections to Earth and dimensional perceptions. When person and planet become ONE, chakra by chakra, humanity and Gaia can join their efforts and work as ONE BEING to ascend Earth and all Her inhabitants into the fifth dimension and beyond.